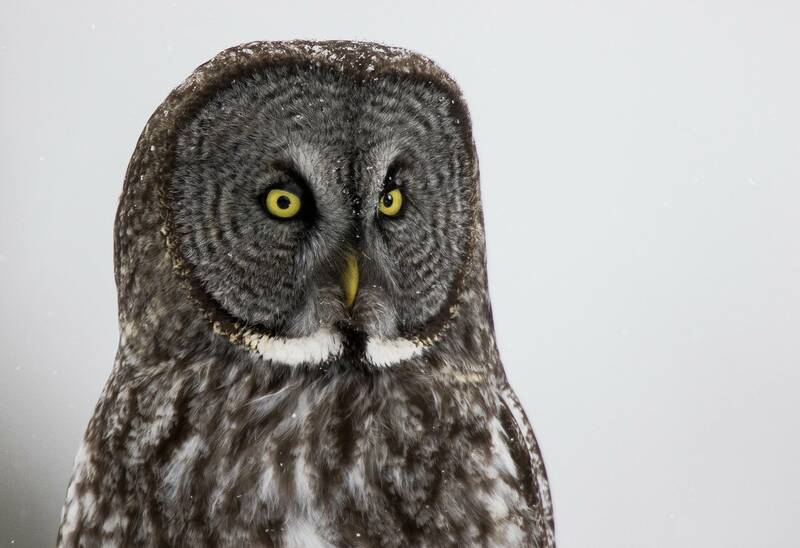 Earlier this winter, Duluth photographer Michael Furtman was driving along the North Shore of Lake Superior in search of great gray owls. Several of the giant, elusive birds had flown down from Canada in search of food. He pulled off on a dirt road where he had seen an owl the night before. One was there, perched in a spruce tree, but so was a pair of videographers, so Furtman backed off. "I was going to let them have their time with the bird," he said. Then he saw one of them run out and put a mouse on the snow. Quickly the owl dove down in front of the camera and snatched up the easy meal. At first Furtman was so angry that he drove away, but then he returned and confronted them. "You know, there are a lot of people who would actually like to photograph this bird hunting," he said to them through his car window, "and it's not going to hunt the rest of the day after you stuff it to the gills." Later, Furtman posted the interaction on Facebook. "We're not hurting this bird in any way, shape or form," one of the videographers responded. "Absolutely not. Maybe we're hurting the photographers, and I'm sorry if that's the way people feel." Furtman is a longtime nature photographer and writer. Recently he's made it his personal mission to stop the practice of owl feeding — or "baiting," as he and other detractors call it — which he said is not only unethical, but can harm owls by habituating them to humans. The issue has become so contentious in recent years that it's brought photographers to blows, sparked a proposed state law a couple years ago, and led to more and more confrontations, in person, and on-line. "I compare it to the election," said Terry Crayne, a longtime hobby wildlife photographer from the Iron Range who has used mice to entice owls. "You don't want to talk about Trump, because you get jumped on. 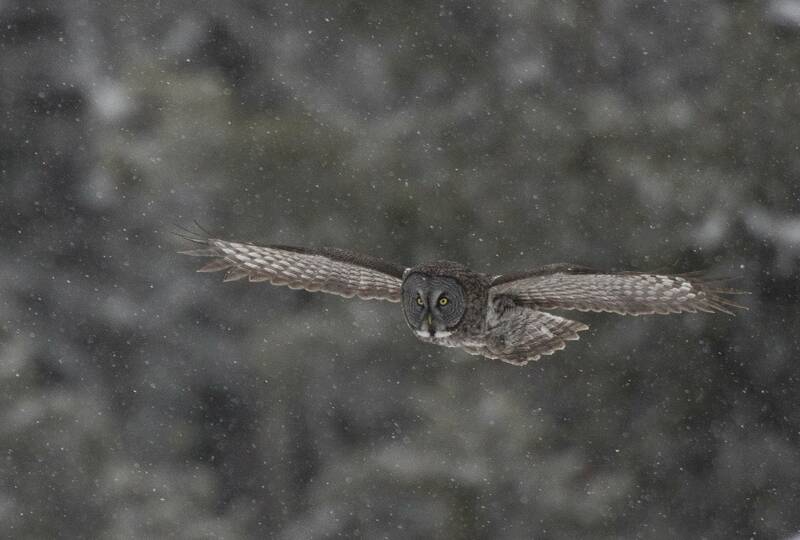 You don't want to talk about feeding owls, because it's the same atmosphere." In short, the arguments break down this way. Those opposed to feeding say it's dishonest. It doesn't capture owls behaving naturally. And they argue it habituates owls to humans. "You're essentially training the owl to lose its fear of humans and associate food with humans," said James Duncan, a Canadian biologist who directs Manitoba's wildlife and fisheries branch who has written several books on owls. 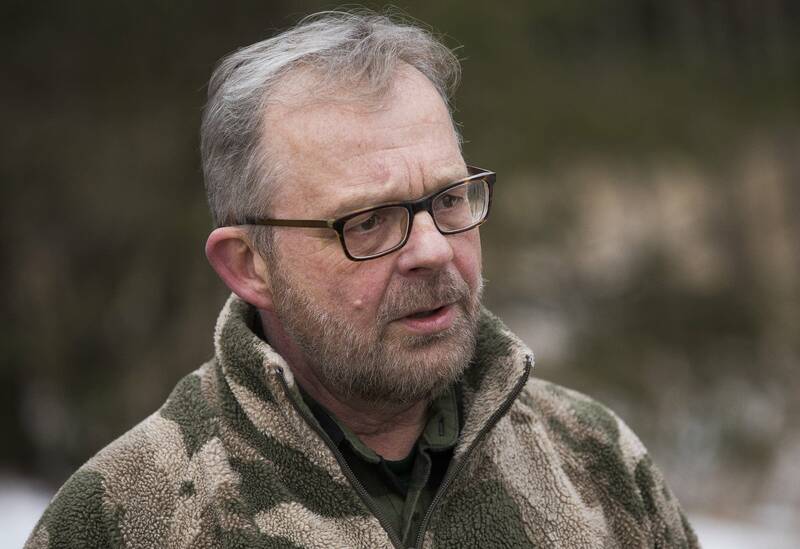 "So then they become bolder, to the point where you'll often see them perching on the ground with humans, or as soon as a car pulls up to an area, where they've been baited, they come out of the forest and perch nearby," increasing the likelihood of getting hit by a vehicle, he explained. But others say they don't see any damage in feeding owls. They point out there haven't been any studies documenting how owls have been harmed. 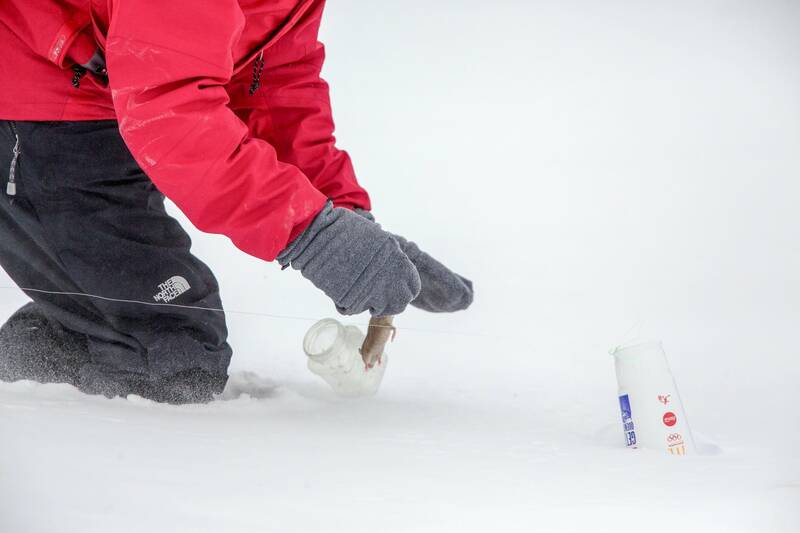 "It's a nasty battle, but as far as I know, there's no data to back up any of the negative," said Terry Crayne, who added that many of the photographers yelling the loudest about feeding owls have no qualms about feeding other wildlife. 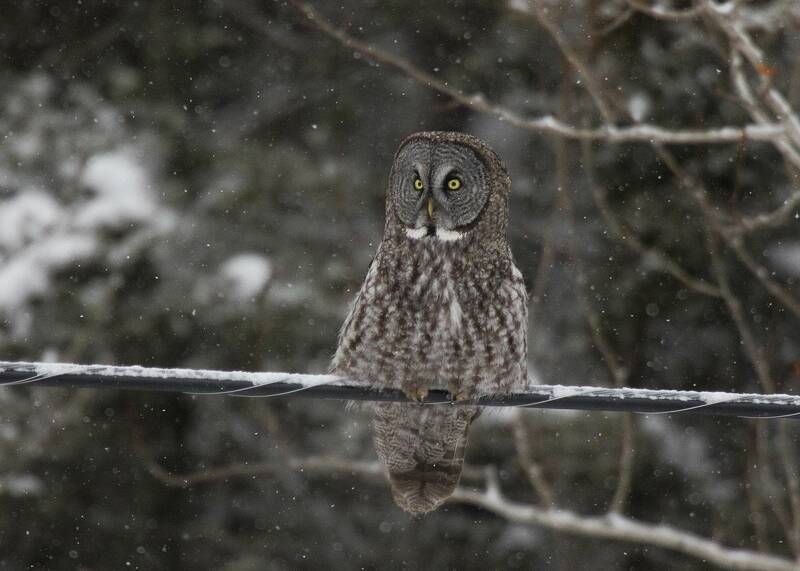 "Most of the people I know who are against feeding owls are actually feeding deer," he said. "The deer are associating humans with food. So which is worse? In my mind, if you're against feeding one animal, you should be against feeding them all." Photographers say they first saw widespread feeding in Minnesota in 2004, when hordes of great grays flew south to Minnesota. Furtman said that's when he was first introduced to the technique by a friend, and he used it for a week before souring on the practice. But he saw how effective it was. 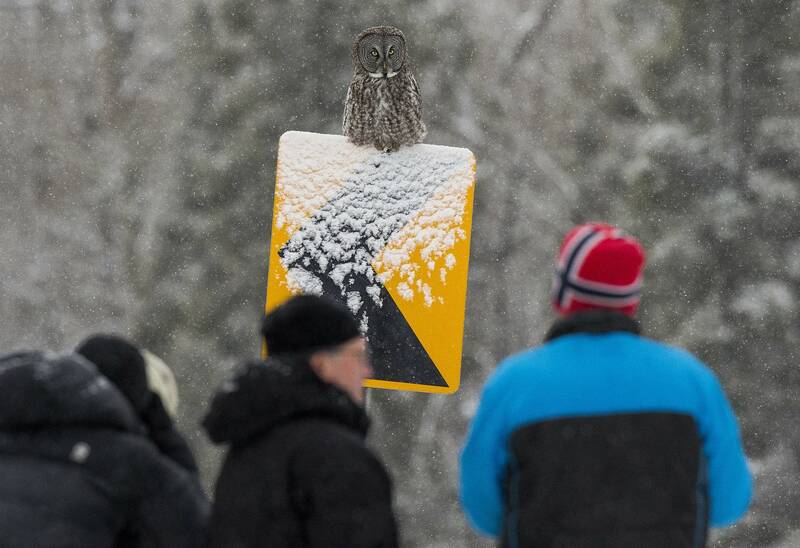 "I have to admit, it's really cool to watch an owl fly in and grab something," he said. "How often do you get to see a predator pounce on prey?" 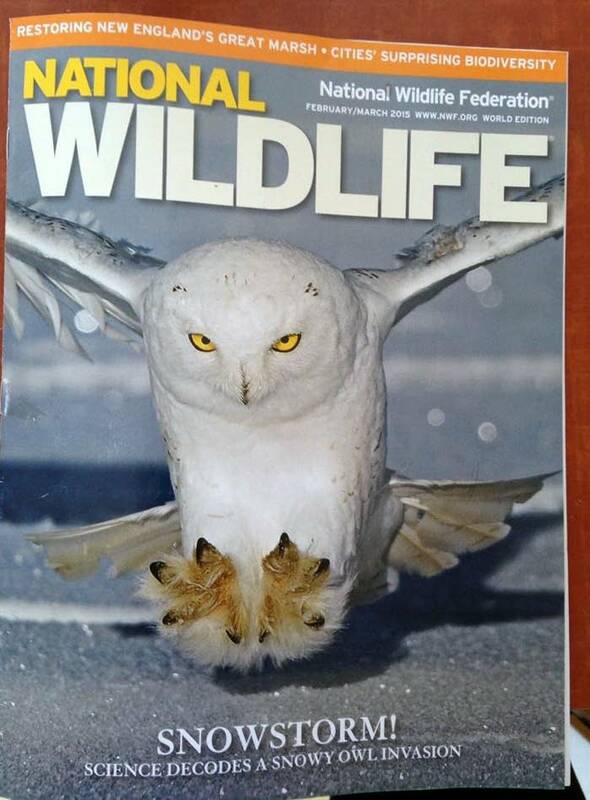 The issue really exploded a couple winters ago, when a large number of snowy owls visited southern Minnesota. 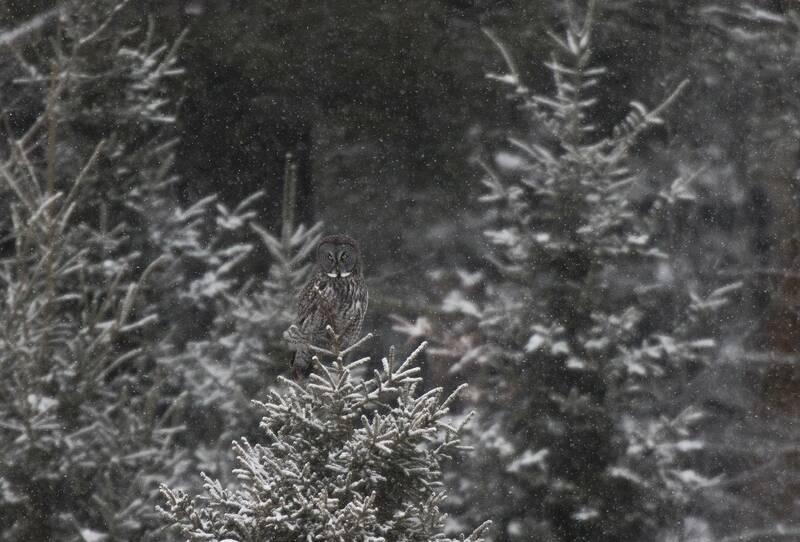 Aided by social media, where owl sightings are quickly posted, photographers flocked to see them. "We call them owl jams," said photographers Dan and Mary Dreher of Bloomington, likening the throngs of shooters to the "bear jams" that can occur with tourists at Yellowstone National Park. 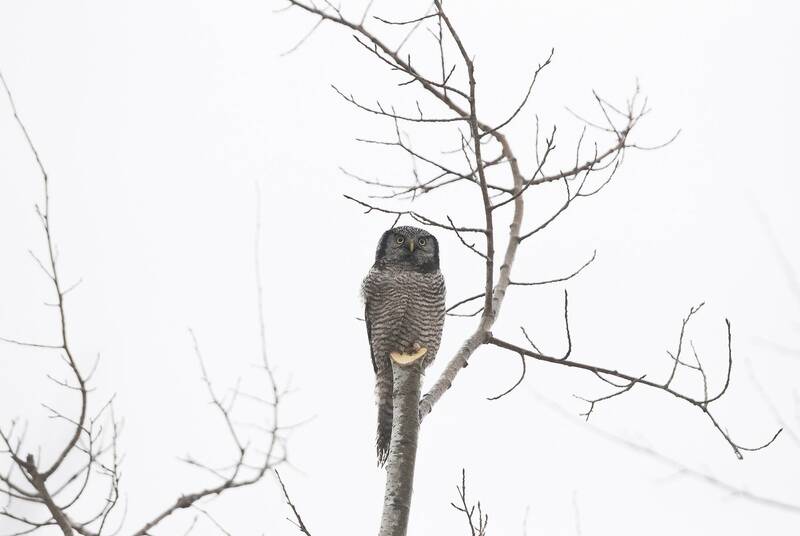 The retired couple visited the Sax-Zim Bog area of northeast Minnesota recently, where they photographed a northern hawk owl through the window of their car on a cold, rainy evening. They recalled a confrontation they witnessed while photographing a snowy owl perched on a piece of farm machinery. "One guy was baiting. Another guy objected to the guy who was baiting, and told him to stop. He threw out another mouse, and the next thing you know, they were punching each other!" The popularity of wildlife photography has exploded in the past decade with the advent of high speed, digital technology. That's helped spark intense competition, said Keith Crowley, a professional wildlife photographer based in Hudson, Wis.
"You'll have five people photographing the same owl, two will want to bait, and three won't," he said. "And there will be shouting matches. I watched someone grab someone else's box full of mice and drive away with them, screaming obscenities. It's a heated issue. People feel very strongly on both sides." There are a lot of ethical gray areas when it comes to wildlife photography. People will drag carcasses into the woods to attract scavengers, photograph animals on game farms, and use vocal calls or recordings to lure birds and animals. Photographer Mary Dreher said that practice concerns her even more than feeding owls, since she sees it occurring much more frequently. "And the next thing you know the owls are so confused, they're just flying all over," she said. But it's owl feeding that has generated the most passion. Several magazines and photo contests have begun to reject baited photographs of owls and other predators. 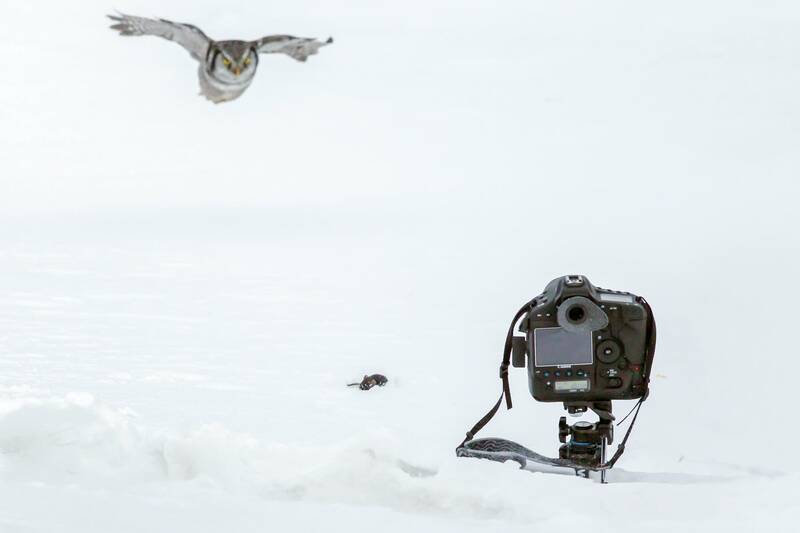 Many photographers now label their shots with the hashtag "ethical owl photo." Michael Furtman and others have taken to aggressively "outing" those who feed owls online. "If you're going to do it, and you're not going to tell people you do it, then I'm going to call you out on it, because this is not wildlife photography," he said. That's led to accusations of cyber-bullying. Even some who fervently oppose the feeding of owls, like photographer Keith Crowley, don't see the benefit in confrontation. "I don't think outing people is the right tact to take," he said. "That cements people into their position, and they don't want to budge then." He said education and possibly legislation are needed. 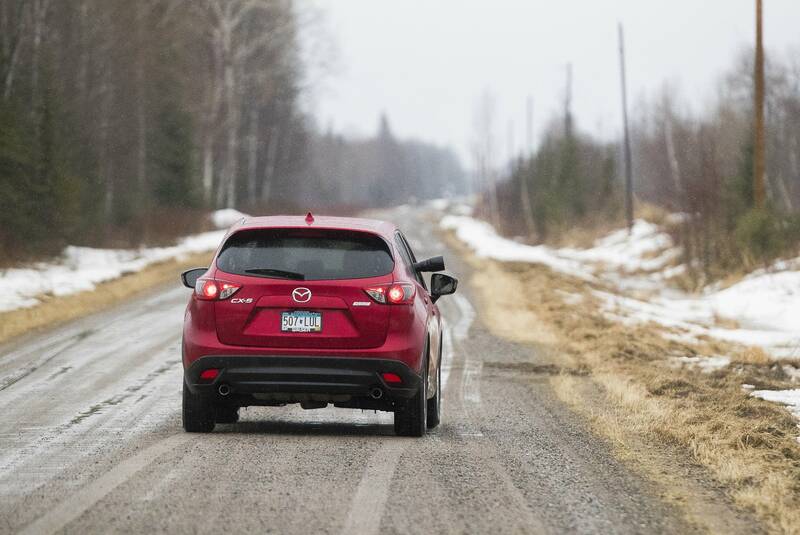 The province of Manitoba has a law prohibiting the feeding of wildlife next to roads. The Minnesota DNR twice supported legislation that would have made feeding owls illegal. It didn't pass, and hasn't been reintroduced. 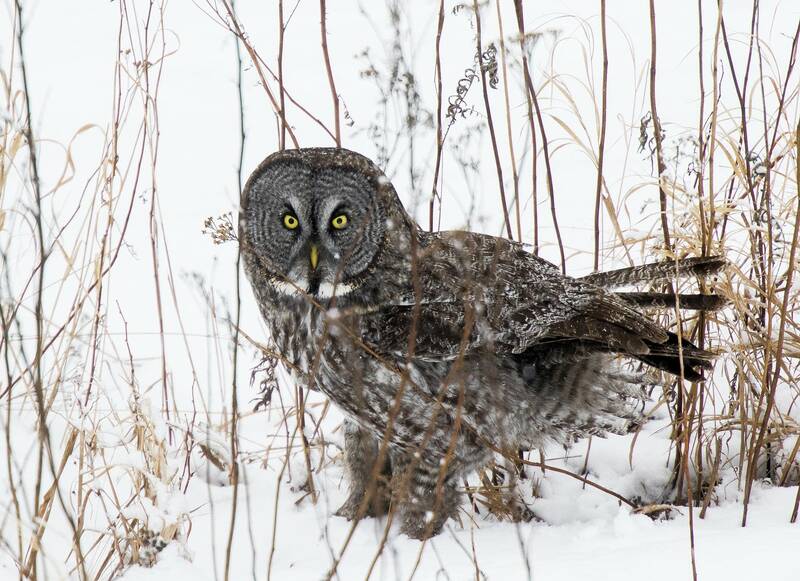 Carrol Henderson, the DNR's nongame wildlife supervisor, said demand for photographs of owls that have been fed has cooled now that several magazines, including the DNR's own Conservation Volunteer, won't accept them. 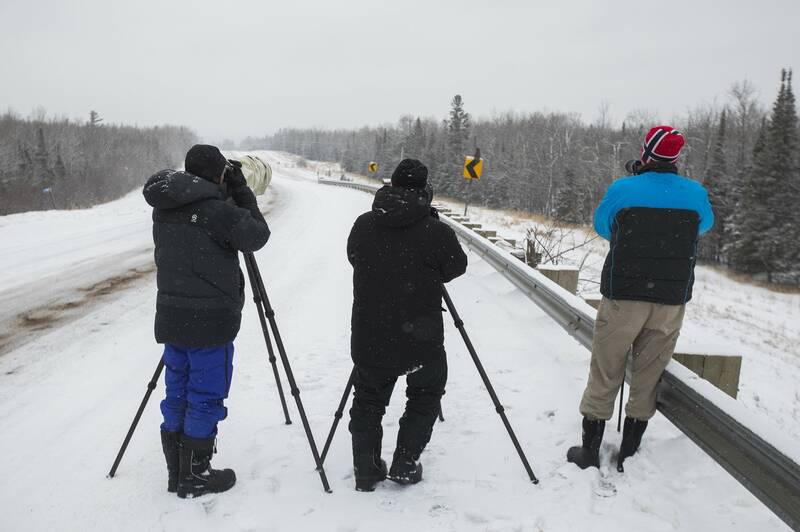 But he said it can still affect the experience of birders and photographers who travel from hundreds of miles away to see owls in Minnesota in winter. "It's a real dilemma in terms of people who are just trying to enjoy the owls or photograph them passively," he said, "without having to make them perform."